Removing the center hub allows access to the electrical workings. 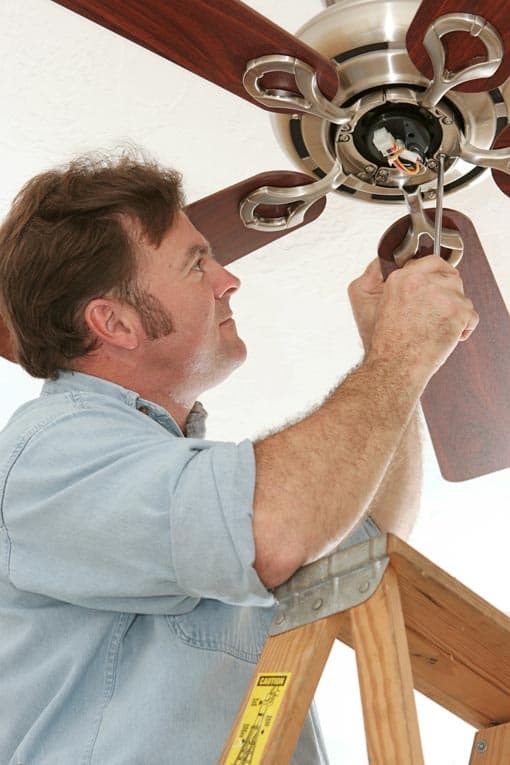 If your ceiling fan doesn’t work, you can save time and money by repairing it yourself. 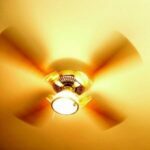 A ceiling fan can stop working properly for a variety of reasons, discussed here and on successive pages of this article. On this page, we show you how to deal with a fan that doesn’t work at all because it isn’t receiving electrical power. If you fan hums, see How to Fix a Fan that Hums. If it wobbles, see How to Fix a Fan That Wobbles. If it hums but it doesn’t spin, see How to Fix a Fan’s Broken Flywheel. Be sure to turn off the fan’s circuit breaker before disassembling the fan! When a ceiling fan doesn’t work at all, be sure it is receiving electrical power from its switch and from the circuit breaker or fuse box. Remove the light switch’s cover plate. 1Turn off the power to the fan circuit. Remove the switch’s cover plate and unscrew the screws that mount the switch to the electrical box. 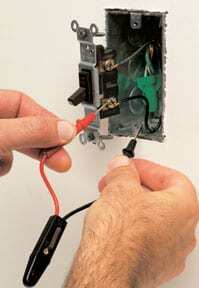 Use a circuit tester to make sure the switch is not charged. 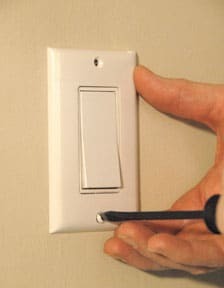 2Use a voltage tester to check the screw terminals on the side of the switch to make sure they’re not hot (charged) and then gently pull the switch out from the box. 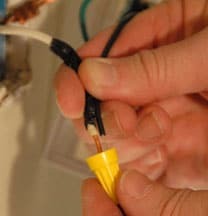 Reconnect the wires with a wire nut. 3Unscrew the wires from the two terminals and straighten their ends with pliers. Twist the two bare ends together and screw on a wire nut. 4Turn the circuit back on. If the fan goes on, the switch is bad—just buy a new one and install it. If the fan still doesn’t work, the problem is in the wiring or the fixture. 5Turn off the power to the circuit, reconnect the switch, put the cover plate back on, restore the power to the circuit, and check the fan fixture or call an electrician. If the fan makes a humming noise when it runs, you may be able to eliminate the problem by changing the control. This is a relatively easy fix, but it may not work if your fan has a very cheaply made motor. Be sure to buy a control compatible with your fan that has an anti-hum feature; the amperage rating must be equal to or greater than the demands of your fan. Multiple fans or fans with lights may require special controls. 1Turn off the power to the fan at the circuit breaker. 2Check the fan’s switch to be sure it’s off. 4Disconnect the wires from the switch. 5Straighten the ends of the wires in the electrical box and twist them together with the wires of the new anti-hum fan control. 6Add wire nuts, screw the control to the electrical box, reattach the faceplate, and then restore the power. Though a little wobble is typical for ceiling fans, significant wobble can be dangerous. Begin by checking for the source of the wobble. In many cases, wobble happens when a fan has been hung from a regular ceiling electrical box instead of an electrical box that’s rated for fans. Because of its weight and constant movement, a fan exerts far more force on the electrical box than does a light. if a fan works its way loose, it could come crashing down. Remove the fan’s housing at the ceiling. 1Unscrew and lower the bracket housing at the ceiling. Check the electrical box for a label that designates it as a fan-rated box. Also check to see how it’s fastened. U-bolts or lag screws should connect the metal box to a bracket or solid wood block in the attic. 2Check the fan’s support. If the fan hangs from the wrong type of box or is clearly under-supported, call a fan-installation specialist or an electrician. If you can’t determine the type of support from below, you may have to climb into the attic, but before you do follow steps 4 through 7 to see if these easier steps solve the problem. 3Wiggle the support bracket. If it isn’t firm, tighten it. 4Check the drop rod. If your fan hangs from a drop rod, as most do, be sure the ball joint at the top of the drop rod is properly engaged with the fan support bracket. 5Check and, if necessary, tighten all bolts and screws. 6Measure to see if the blade tips hang an even distance from the ceiling. If they don’t, one or more of the blades may be bent or warped. Report this to the manufacturer; most of them offer replacement blades. A flywheel is a rubber disc that is used to attach the shaft of a ceiling fan’s motor to the blades. The rubber helps minimize vibration in the blades, but over time the material can crack and break. If the fan stops turning but the motor continues to hum, you probably have a damaged or broken flywheel. It is recommended that you replace the part as opposed to attempting to repair it. Replacement flywheels are relatively inexpensive and are available for most ceiling fan models. Determine which make and model ceiling fan you have. If this is not immediately apparent, remove the broken flywheel and measure it carefully. Make sure to note the inside and outside diameter and locations and spacing between bracket and screw holes. Then find a replacement through a licensed retailer or appliance parts house. To remove the broken flywheel, you must disassemble the fan assembly. Before working on the fan, be sure to turn the power off at the circuit breaker. 1Remove the fan’s blades and open the fan switch housing. 2Detach any switches and controls, noting how and where these were connected. 3Disconnect any wires attached to the motor, making sure you know where to re-connect them once the new flywheel is in place. Then remove the entire switch housing with a screwdriver, wrench or pliers, depending on the model. 4Remove the broken flywheel, making note of its exact placement on the shaft. It may be a good idea to mark the location with a permanent marker once the flywheel is removed. 5Slide the new flywheel into place and make sure any wires are fed through the correct holes as they were with the previous assembly. 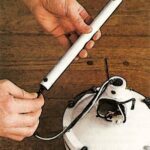 Tighten any screws and replace any other parts that may have been removed in the process. 6Re-connect any switches or controls and replace the housing. Re-attach the blades to the fan and test it. 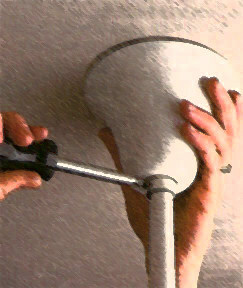 If you feel that this repair is too much to handle, contact a licensed fan repair pro.